It's All Chinese to Me is a fun and authentic introduction to Chinese culture that allows readers, tourists, and business travellers to experience what ultimately makes China so unique its people. Learn about Chinese customs, proper etiquette for all types of situations, and how to interact effectively while traveling China. 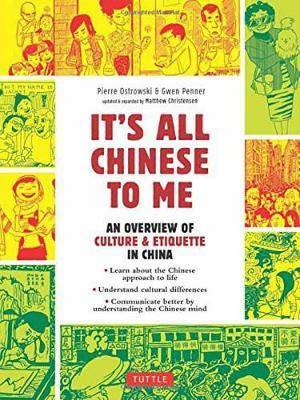 First-hand tips and illustrations offer an authentic view of China and the many cultural differences that foreigners encounter there. This new edition of It's All Chinese to Me is revised and expanded with 25 percent new content, offering international visitors a set of essential insights to help demystify this highly complex and compelling culture. Readers will learn about: Major influences and historical events that guide behaviour in modern China; Fundamental concepts crucial to interacting with Chinese people; Social idiosyncrasies that may surprise most Westerners; Dealing with culture shock in China; Peculiarities of Chinese business culture.